My daughter and her friend were talking about back to school today and they both agreed that the only exciting thing about going back is shopping for fresh school supplies and clothing. I told them that adults still carry that same feeling with them as we head into fall. I guess it's from all the years of preparing for back to school with nervousness and excitement. That's why, when I'm shopping for the kids for back to school, I like to buy a few things for myself and my home office. Thomas Allen & Son (distributor of books, stationery and calendars) sent me a beautiful set from the Pipsticks®+Workman® gift line to get me going with my fall office prep. The line, from Workman Publishing and Pipsticks, features planners and books with fresh designs and great quality. 1. “for the Daring…” This set is fun and bright, with energetic designs—perfect for the list-keeper. 2. “for the Driven…” This set features a more pastel colour theme and is super motivational—perfect for the goal-tracker. All three themes are super cute, making it difficult to choose! I had a photo album full of stickers when I was a kid and I still get joy from looking at cute sticker collections, although as an adult, I'm not sure what to do with them. 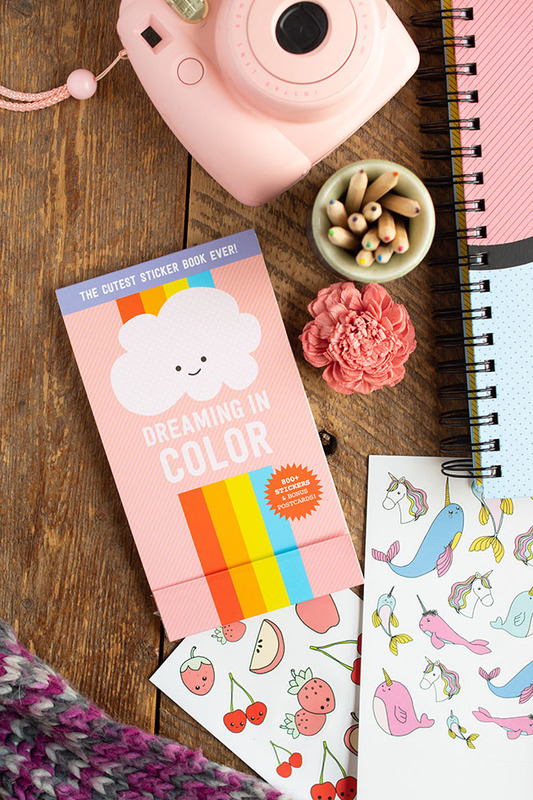 Fortunately, my cute new sticker book "dreaming in color" ties in with my planner, and these stickers can be used to dress up the pages of your planner or your notekeeper as you dream up plans for the year ahead. I pulled out a couple of pages to show you how adorable the designs are, above. The planner itself also comes with really sweet stickers for each season (think pumpkins, toques, convertibles, champagne glasses, ice cream cones), along with word stickers that say things like "Let's Eat" and "Don't Forget" and "To Do." If your goal is to get a bit more organized, I find a physical planner is key. A calendar on your phone is great for checking your availability when you're out and about, but nothing beats getting it all down on paper when it comes to planning your time and activities. 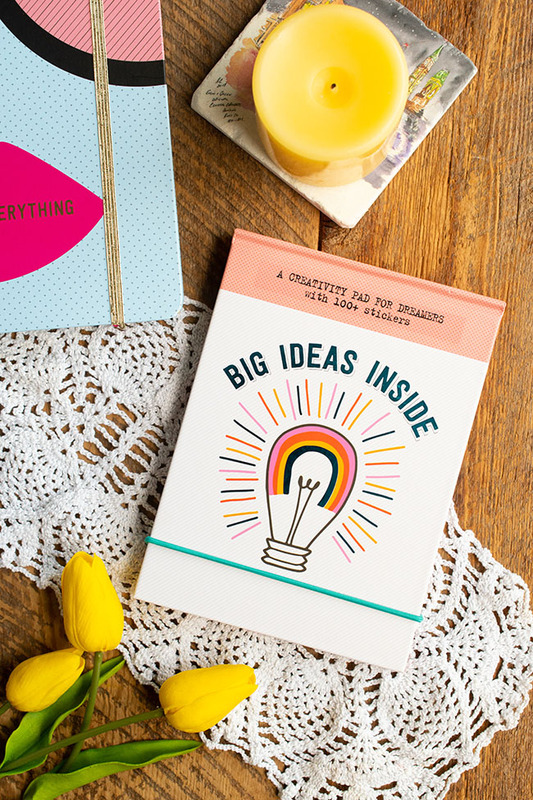 My "Big Ideas Inside" creativity pad also has over 100 stickers (hearts, stars, graphic circles), plus pretty patterned paper pages (how's that for alliteration?) on which to jot down all your ideas and to-dos. 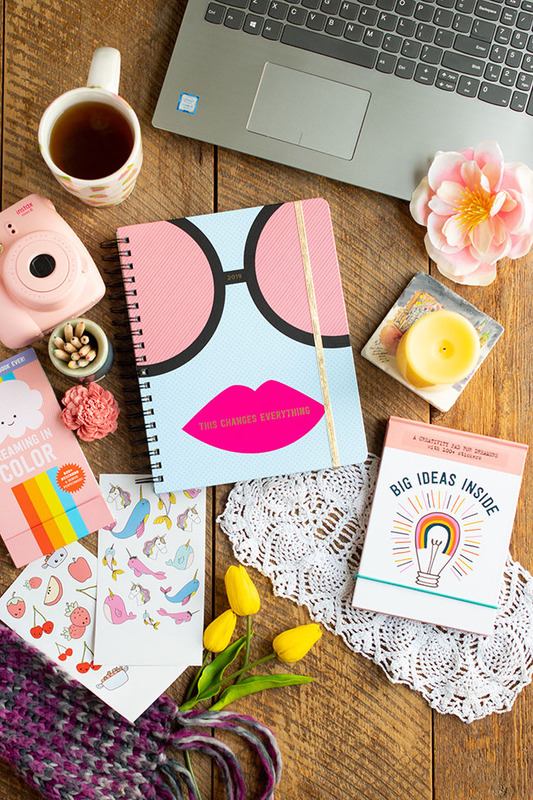 In summary, these Pipsticks+Workman planners, notekeepers and sticker collections let you explore your youthful creativity in a way that's socially acceptable for adults, haha. So grown-up girl gets something for back to school too. Bonus: the planners start in August so you can start using your fresh new "school" supplies right away! Do you have stickers? Do you love stickers? What do you use them for? 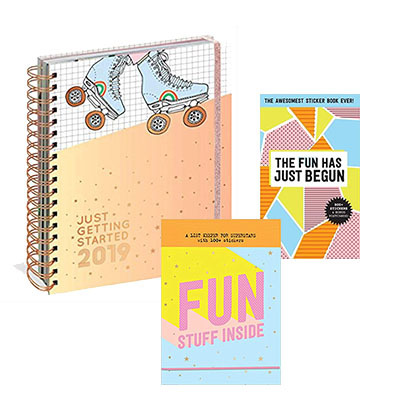 Thomas Allen & Son is giving one lucky Woman in Real Life reader in Canada the "for the Daring" set, including a 2019 planner, notekeeper and sticker book (value approx. $80). Enter using the rafflecopter below until August 22nd. i love stuff like this!! Notebooks, pens, stickers make me happy ! I feel the same Kelly! I am a notebook and pen junkie! I love organizers and being creative. I would use it to try to keep my hectic schedule in order. Anything to help keep me organized is a bonus. I always have a stash of stickers to put on birthday cards that I give. Thanks for the fab giveaway. Adding the stickers to birthday cards is a great idea! I love writing things down to be organized! These are very cute! I would like to win because I love notebooks, planners, pens and everything in the stationary category. I need a planner! With 3 kids and a busy live, I need to write it down. There's something about seeing your week planned on on paper that makes is seem more do-able. I would love to win this set for my daughter who loves journaling. Would be useful in organizing my schedule. Id love to win to keep my life organized! There is nothing more exciting than new paper supplies and opening a new planner! I'd love to win this because my friend would be thrilled to get these fun stationary! I would love to win this because I could use some help with organization :)plus it's such a pretty planner. Thanks! 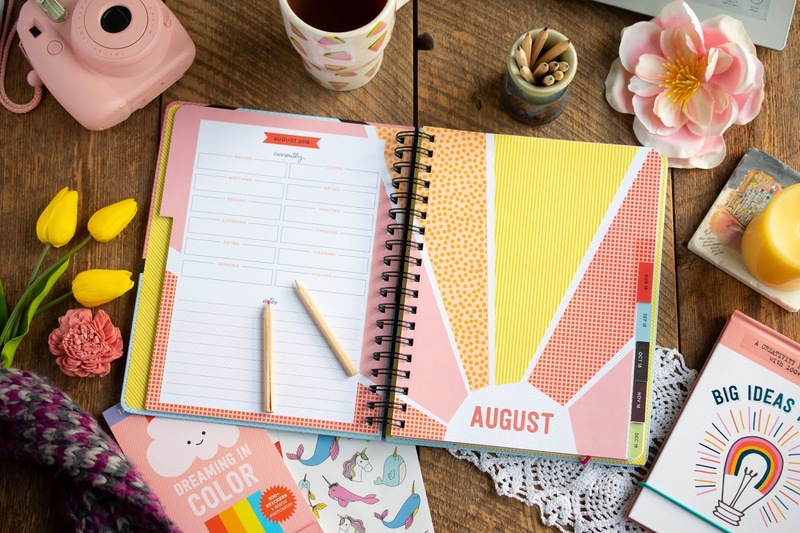 I love the planner and would love to win it to stay organized! I've been using planners since I was in high school - lets says it been many years since.I take notes all the time to remind myself. I still have my Sticker Book since I was a child. These would all get good use of. I LOVE being organized!! With so many things on the go I need this in my life! I need organizers in my life otherwise everything is chaos. I'd like to get this as I'm only organized with a planner. I love list's and planners. It's the only way I get stuff done. Stickers are just the cherry on top! I find it helps my day go more smoothly. I used one last year and since it was in paper. I could look back and find things too. I'd love an excuse to play and get creative while still adulting. I would be lost without lists & planners! With all my kids extra activities and appointments its so easy to over look things without one. I'm a teacher and this would help me be more organized. I like to win this set for my granddaughter she would love it ! 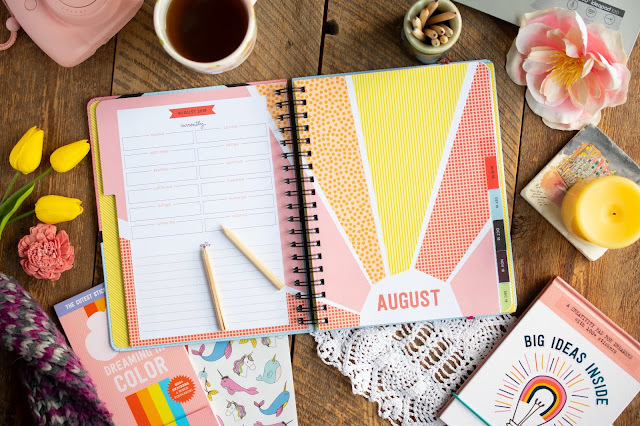 I would love to win this set because I need a day book and this is one of the cutest and most colourful one I've seen in a while. I love stickers too! I love to get organized as summer ends and I love back to school supplies even though I haven't been to school in years. I would like to win this because I love notebooks and planners - anything to help me stay organized. It would be a toss up as to whether I keep this (I still love a book/paper organizer) or whether I would gift this to my daughter who also loves book organizers. I like to be organized, and need to write things down. This looks like a beautiful set that I will enjoy using. Thanks. I love starting the new year with a new agenda. It's like there is all this potential ready to be filled in. I need a new planner for the new year and these stickers should keep me organized and make it look so cool! 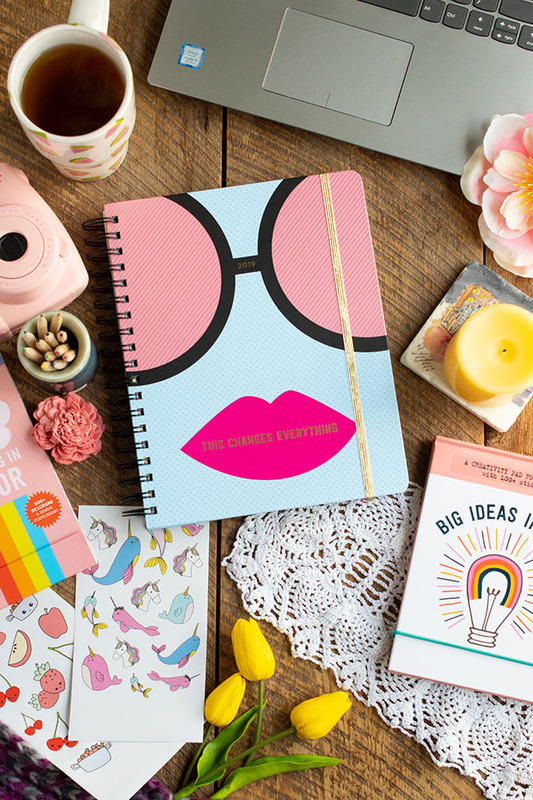 Love to win this - I've been looking for a new line of planners! Even with all the apps and calendar options on smart phones these days, I’m never organized with dates but when I use an actual physical day planner my life runs smoothly! And the cuter the planner the more I’ll use it!! I'd like to win this set because I love planning & using pretty stationery! I'd love to win this because I need help in the organization dept. It's so cute, to boot!! I love planners and note book it help me stay organized! Thank you! I would love to win because I am in the process of looking for my 2019 planner/agenda and this one looks like it would work perfectly. I would like to win because I like to write everything down, I am always planning ahead of time and always have a pen and notebook on hand.